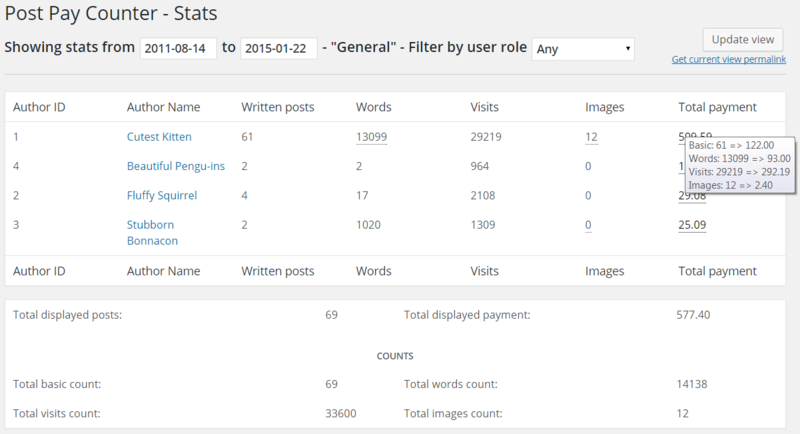 Post Pay Counter - The best way to pay authors on WordPress! Are you tired of wasting time (and money!) in authors payments? 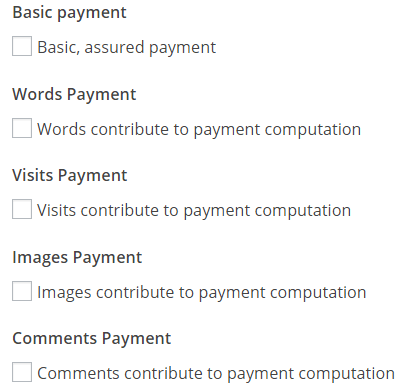 Handling your authors payments on WordPress could not be easier! start saving your time NOW. You want to know how much you should pay each author and what you are paying him for. That’s exactly what Post Pay Counter does for you, displaying data in a clear and easy-to-read table, ready for payment. You can award money to writers depending on how good their posts are, and the best part is that you decide what good means depending on several payment criteria. These include number of words written, images included, visits registered and comments received. There’s room for choice even for how payments are computed. Many more criteria are available through addons (such as Facebook shares/comments, Adsense revenues, posts publishings, number of characters). 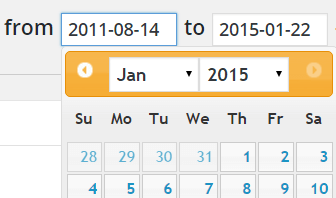 There is a handy date picker in the stats page so that you can choose the time range you would like to see stats for. There is no limit on the width of the range. You can select past dates as well, even prior to when Post Pay Counter was installed. All writers are equal, but some writers are more equal than others. 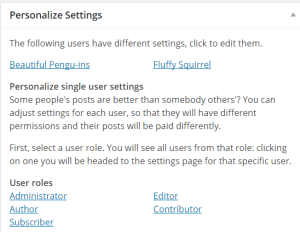 That’s why you can have a set of general settings that apply to all users AND set up special settings for single users: maybe you want to pay them differently, or you want them to have different permissions (or maybe that’s just part of your evil plan to take over the world). 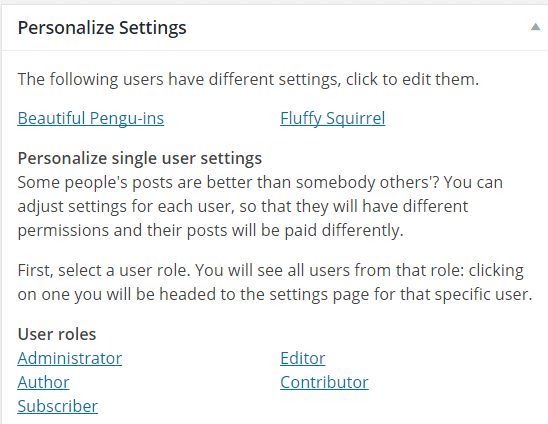 It is also possible to define settings that apply to a whole user role or to a specific post category. Post Pay Counter features can easily be used through smartphones and other mobile devices! In fact, the stats table is fully responsive, and will scale and collapse its data to provide a smooth experience in all situations. Writers like to see how they are doing at any moment, and you will be able to keep an eye on revenue and expenses at all times. We are particularly proud of the quality of our support, something our customers can confirm and have always been very happy about! 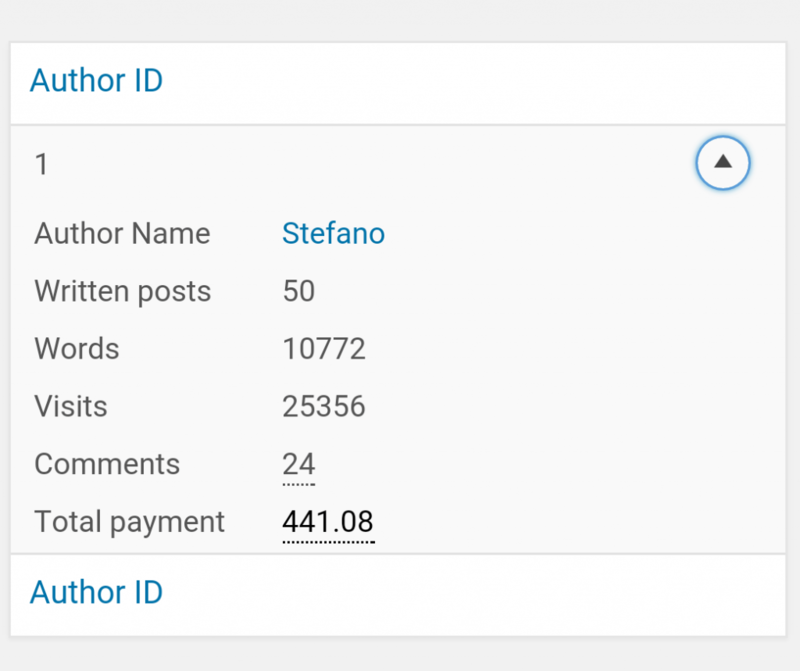 There is a variety of addons that extend Post Pay Counter features: integration with Analytics and Adsense, payments history and PayPal payments, integration with Facebook and so many more features! And if that’s not enough, writing your own custom implementation is not difficult. The plugin has been translated into English, Italian, French, German, Dutch, Portuguese, Czech, Turkish.